R.H. Witt Heating & Sheet Metal is a full-service heating, air conditioning and electrical company serving residents in Glencoe, IL and across North Shore and Northwest Suburbs. We’re a Carrier Factory Authorized Dealer, and winner of the Carrier Presidents Award. As such, our entire staff is held to strict standards of customer service and business practices. Your total satisfaction is our priority. Schedule an appointment for service, or call for assistance. An outdated unit can lead to excess energy waste, high monthly costs, and frequent repairs. If your furnace or air conditioner is more than 10 years old, contact us to discuss your installation options. 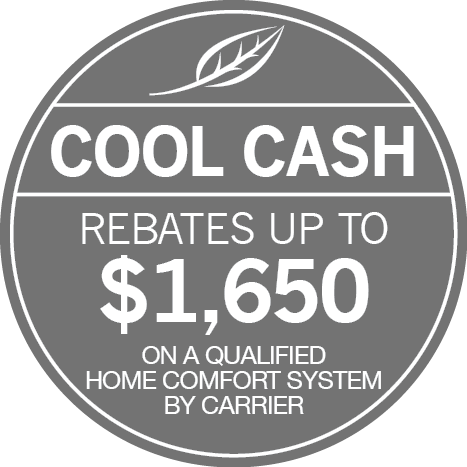 We offer the latest heating and cooling systems from Carrier. Call now for heating installation and A/C installation in Glencoe. The team of specialists at R.H. Witt Heating & Sheet Metal is available 24 hours a day to assist you. If you have a problem with your air conditioner or furnace, call us. We offer expert AC repair and heating repair. Our technicians are NATE- and EPA-Certified, and highly trained to fix the repair. Don’t wait to address an issue with your heating or air conditioning system. Call (847) 724-1690! You can prevent a majority of repairs through regular maintenance. Call now to set up an appointment for furnace service or air conditioner service. Through proven procedures, we aim to restore the system to peak operation. Plus, we offer a lifetime warranty on workmanship and a 100% satisfaction guarantee. Contact us today!